The team at Mr. Tree can effectively remove underbrush in your yard without harming the surrounding vegetation or trees. We can handle anything from heavy shrubbery down to grassy, meadow-like ground cover. Homeowners have a variety of reasons for seeking our brush mowing services. Sometimes, an outdoor space becomes too overgrown, obstructing a path so the homeowner can no longer walk through their yard. In other cases, the vegetation just looks unattractive, and removing it creates a more pleasing view. Over time, the ground underneath a wooded area starts to develop a thick brush, full of stubborn vegetation. Brush mowing will get rid of any thick grass, shrubs, or small trees. This creates a clear space where you can safely walk and enjoy your yard. No matter your reason for removing underbrush from your property, the team at Mr. Tree has the tools and experience to handle it. 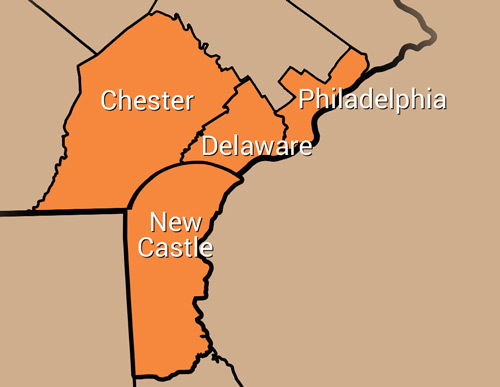 Our Aston-based company serves all of Delaware County, as well as Chester and New Castle Counties. Brush mowing is applicable to thick grass, shrubs, and trees smaller than 8″ in diameter. 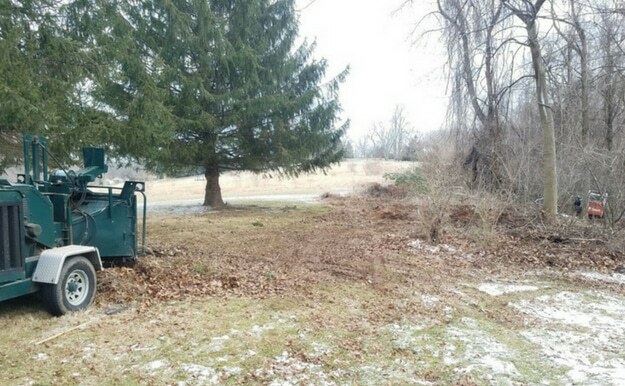 If you’re interested in large-scale removal of larger trees, check out our lot clearing services.